CAST began publication of Moscow Defense Brief in 2004. The principal aim of this publication is to present Russian perspectives on security and defense issues to readers beyond Russia’s borders. Moscow Defense Brief serves as a comprehensive and reliable source of public information and unbiased analysis on all aspects of Russia’s policy and activities in the security and defense spheres.The journal is an important resource for foreign governments, policy makers, industrialists, political and economic experts, and researchers interested in Russian and/or CIS affairs. The content of Moscow Defense Brief is provided by CAST staff in cooperation with affiliated experts and journalists from Russia and other CIS countries. 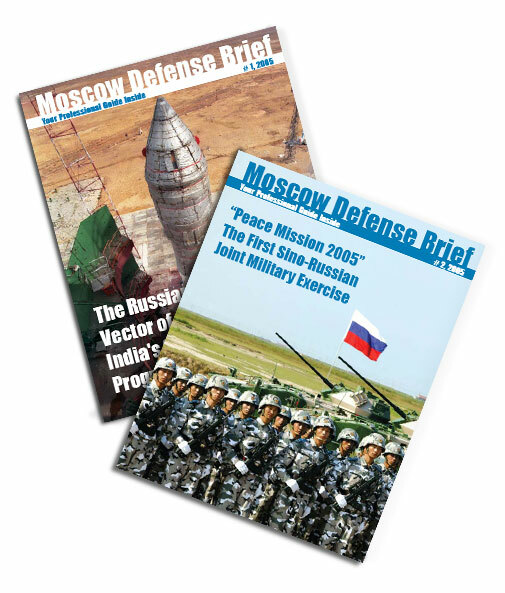 CAST launched Moscow Defense Brief in 2004 with the aim of providing a unique, Russian perspective on key security and defense issues to readers across the globe. Over the past five years, our readership base has grown steadily, to the point where we now have hundreds of subscribers to our print version, and an online community of many thousands. Moving forward, we are looking to punch through this plateau by investing in our capacity to produce even more high quality content and deliver it on a more effective online platform. To make this happen, we will introduce several changes, driven by a growth-oriented business model. To access our free, online content, readers will now be asked to register by providing their email. The bulk of our online content will stay free of charge, while a paid subscription will be required only to access the full version of a select number of current articles. By investing in our product, we aim to drive up our online readership by providing even more free content, on a more frequent basis. And for those who need the most exclusive and timely analysis available on the market, we will offer a range paid subscription options. We live in interesting, perilous times, when complete awareness of global developments is essential not just to succeed, but to survive. The demand for an inside, but independent guide to Russian security and defense issues has never been greater. Building on five years of success, and with a solid commercial foundation, Moscow Defense Brief will continue to serve this need.